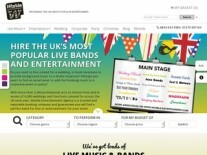 Entertainment Nation is the UK's premier entertainment agency for amazing live music bands and exciting entertainers! If you're planning an event and you need live entertainment, then look no further than Entertainment Nation's roster of fantastic bands for hire! 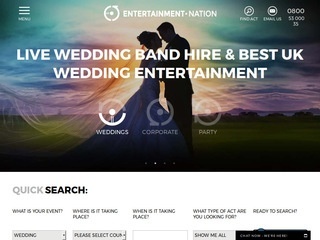 Entertainment Nation is open from 10am until 10pm every single day to help you book the best band for your wedding, party or corporate event.